Whenever I am watching a Tennis match, I hate those short ads with peppy and annoying jingles. But due to the structure of a live Tennis broadcast, these breaks are short. The same ads make me go nuts during movies and TV shows, where there is no structure to the broadcast. After all, how many ads in the past 50 years remain enjoyable even after watching them 50 times! Companies trying to get attention through interruption marketing simply end up overdoing it. But does your business have to do the same thing? All entrepreneurs also consumers of these ads. The thought of how intrusive these ads can be, often makes them want to give up on Interruption Marketing. If you belong to this group, you may want to try Inbound Marketing! There is growing evidence that Interruption Marketing doesn’t work nearly as effectively as you’d expect it to work. Cold callers tend to get blocked. I am a power-user of the DND (Do Not Disturb) app by Telecom Regulatory Authority of India (TRAI). The moment I get calls from unknown numbers offering me credit cards and personal loans, I open that app and report that number to TRAI for violating my DND privacy. TV Commercials tend to get skipped or ignored. Most people record TV shows only to skip the commercials. People on your email list would ignore and even subscribe if you constantly try to sell them something. They think you are a spammer. And finally – we can’t really measure how many people saw your large highway hoarding and what was the effect of it. In the online world, banner ads are blocked by AdBlocker. Globally AdBlocker usage grew 41% YoY in 2016. 64% of people consider ads to be annoying; they admit to using AdBlocker. 79% of people believe ad blocking improves their internet browsing experience. (stats source). If these stats and facts concern you about your own marketing strategy, then you are ready to implement inbound marketing. Learn how to measure and optimize your inbound marketing strategy to achieve and exceed your inbound goals. Inbound Marketing uses highly relevant and helpful content to create positive experiences for visitors about your brand. After gaining their attention through content, you use chat and email to start building a relationship with them. Once they become the lead, the function of Inbound Marketing is to delight them by creating memorable customer experiences. You do this with some expert advice curated with empathy. Unlike outbound and interruption marketing, you won’t be competing to gain attention. Instead, you use your knowledge of the problems faced by the audience in your niche and their needs. This knowledge flows into your inbound marketing strategy and informs the content you create. Inbound Marketing enables you to get more qualified leads and build trust and credibility for your brand. Let’s now focus on elements of a successful inbound marketing strategy. SEO often has a bad rep in the industry because it is complicated and hard to measure. That does not take away from the importance of it. You need to optimize your website for search engines to make it visible to their web crawler bots. Once they see you, your content will do its job and (gradually) get you ranked. This opens up one of the most powerful sources of inbound leads for your website – organic traffic. Besides On-page SEO and Off-page SEO, keyword research is another crucial and oft-ignored aspect. What are the most and the least prominent problems your customers could face? Where do their interests lie? How do they talk about things? What do they talk about? What other tools they could be using – including those by your competitors, and other products tangentially related to their operation? You will get a sufficient idea about keywords after you answer these questions. This will give you your SEED KEYWORDS. The next step in the keyword research process is finding alternative keywords that the customers use while buying and while researching. Both these classes of keywords are slightly different from each other – and both are important. Insert the seed keyword and get a list of relevant keywords from any keyword tool of your choice. Selecting the right keywords to target is of prime importance. Your ultimate goal with keyword research should be one primary keyword with 5-7 secondary keywords. This interesting graphic from CoSchedule gives a detailed look at the type of keywords you need to select. Search volume – Ideally, higher the search volume the better. Relevance – From the previous steps, you would know the needs of your customer and their problems. Use this knowledge to decide if the keyword is relevant for your potential customers. Competition – The idea is to find keywords you would be easily able to rank for. So obviously, keywords with low competition are preferred. You can also select certain medium competition keywords if you find it more relevant to your business and your audience. General knowledge dictates that you pick those keywords with low competition and high search volume, or keywords with medium competition and medium to high search volume. To get into the nitty-gritty of your keywords, find their ranking potential on your own by using the method suggested by SEO Nick. Once you have finalized a list of keywords, it’s time to use them within your pages. Your inbound marketing strategy will require a solid SEO foundation. It all starts with choosing the right keywords and using them in your pages. 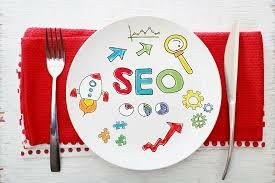 SEO will be an ongoing function conducted by an experienced SEO analyst. You will need multiple batches of keywords for multiple feature pages, product pages, and blog posts on the website. Title tag – When crawling through your web page, the Google bot scans through the HEAD tag of the HTML page. Within the HEAD tag, the bot reads the text inside the TITLE tag to understand the meaning of the page. This text must be a grammatically correct sentence containing your primary keyword. 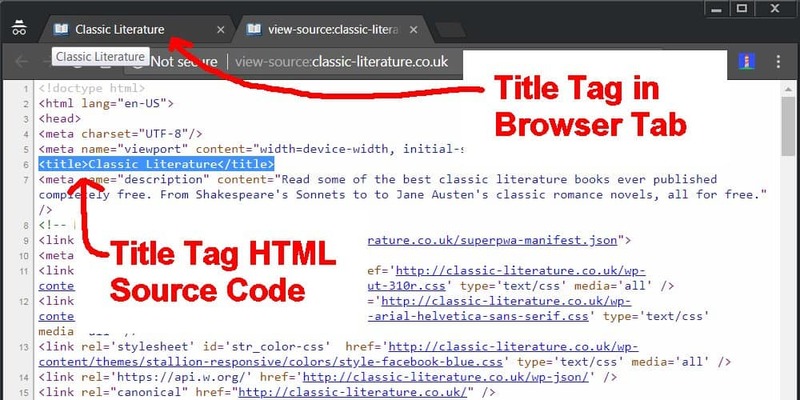 Note that the text inside “title tag” is NOT displayed on the website; it becomes the title of the browser tab which displays the page. The actual, visible title on the page belongs inside an H1 or an H2 tag. Note that this title text is different from the SEO title we type in the Yoast SEO plugin. An SEO title is displayed on the SERP, while the TITLE tag text is displayed as tab title when the page opens in the browser. 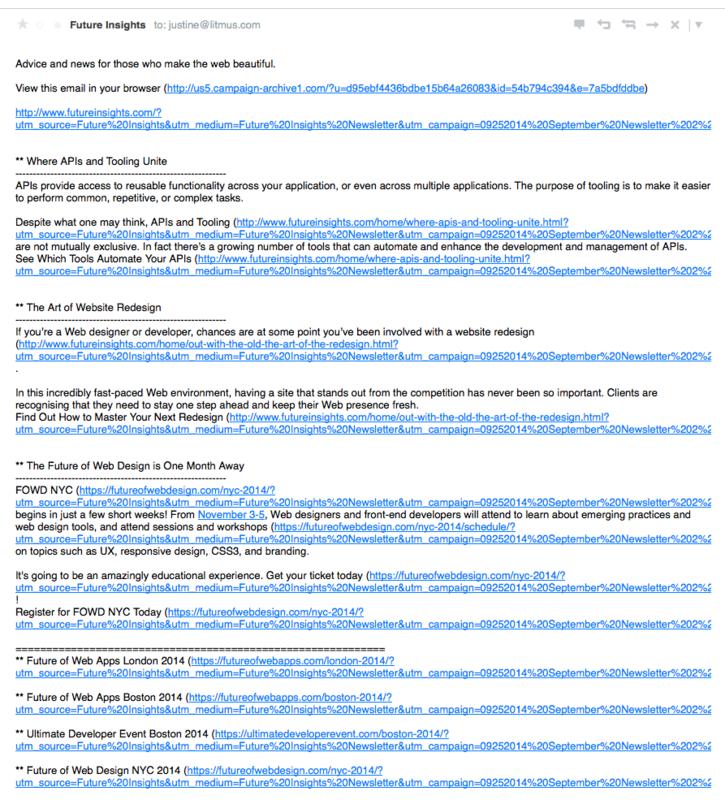 Meta descriptions – This is another element inside the HEAD tag. It is a short blob of text containing at least your primary keyword and some of your secondary keywords. It is not displayed on the web page, but on the search result page. Google presents this META text as a description of your page; it is like the ad copy which entices the visitor to click on the link. Body content – Needless to say, your body /page content should include your primary keyword multiple times and some of your secondary keyword in a healthy dose. and then “optimize for SEO”. To make sure your keyword occurrences are as natural as possible (and to prevent your website from Google’s penalties), write the content first and then optimize it for keywords. Make your content engaging, scannable, and unique – plagiarism finds no favor in Google’s algorithm. Alt attributes – This is a placeholder sentence written to substitute the image when it is not downloaded or not rendered by the browser. This sentence, written in the ALT attribute of the IMG tag, carries information about the image which is read by the bot in an attempt to extract the meaning and sense from the web page/post. Even though these sentences are not displayed normally, they should still be full sentences and not just overstuffed keyword phrases. If you can’t find a sentence with natural occurrence for the primary keyword, don’t feel the pressure to stuff the keyword in the “alt” text. URL structure – The URL structure of the page should contain your primary keyword. It helps you segment your content better in Google Analytics and enables easier sharing of the pages. Add keywords in all new URLs. If you change an old URL to include keywords, make sure to add an appropriate 301 redirect in your server configuration files. 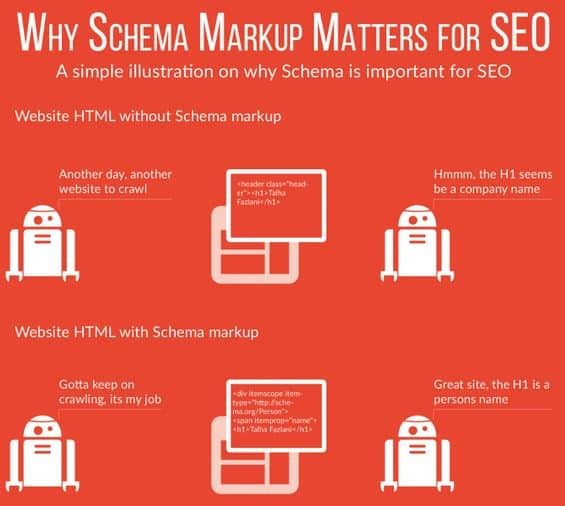 Schema markup – Although not a ranking factor, Schema markup lends a presentation structure to Google SERPs. It contributes greatly to the searcher’s user experience. It exposes the underlying subcategories and menus by marking up the exact structure for the SERP and makes it easier for Google to format the content. Incoming links to the page indicate the authority of that page to Google. The more incoming (external) links a page has, the higher is its value to Google. This linking can be natural or can be from within a network of “friendly” sites. 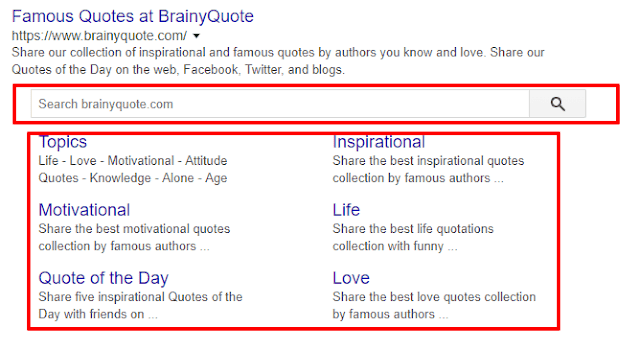 Google also pays attention to the “link text” for SEO. Site X and Site Y must be related (directly or indirectly). That means an insurance website receiving a link from a used car dealership website is higher in value for Google. But if the same insurance website receives a link from a totally unrelated website (say, a parenting website), then that link is of very low importance. It might not even be considered towards a Google rank. The link text on page A indicates the purpose of page B and the relation between two pages. You want it to have a secondary keyword or a variation of the primary keyword and write it in a conversational tone. Overstuffing of keywords into the link text is considered a negative ranking factor and sites using these signals may be penalized heavily by Google. Pages receiving most incoming links have the highest value to Google. Make sure to distribute that authority to your more important but less visible pages by linking to them from the high-authority pages. To drive search traffic, you need to prove to Google that your website has a high domain authority. Incoming links are extremely crucial to that make that happen. However, in a race to build external links, many webmasters have relied on black-hat and grey-hat link building techniques that are not fully reliable. They make your website prone to Google penalties. These penalties, depending on the severity of the offense, are usually very hard to recover from. Building quality content is still in fashion. Several companies have proved time and again that creating high-value, relatable content still works – both for your company’s brand and for the customers. You need to make sure your content is shareable and most importantly, your content is picked up for linking by your industry influencers naturally. 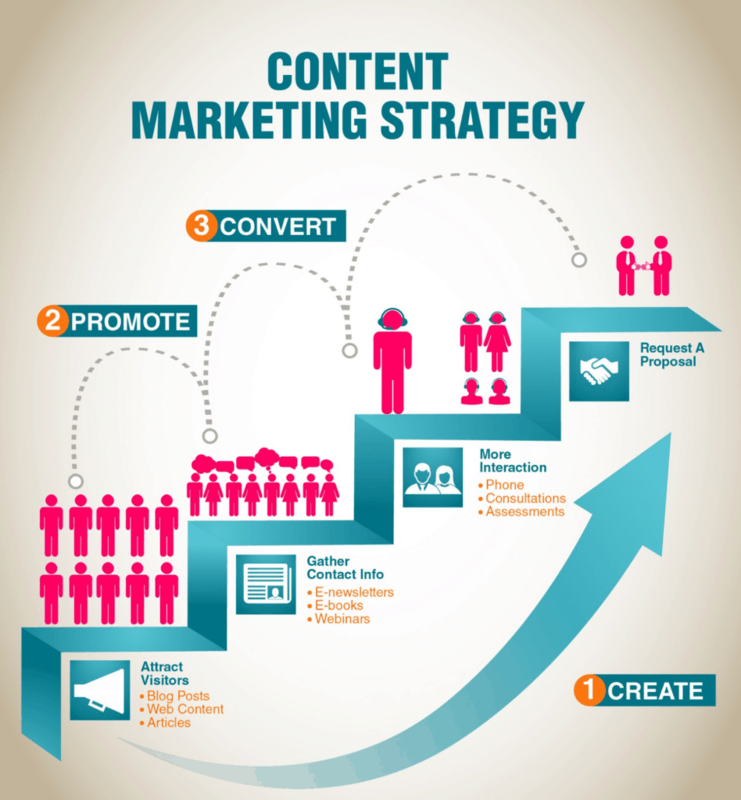 You need a solid content marketing strategy to make that happen. Tools like Buzzsumo help you kickstart your niche discovery exercise. The goal of this exercise is to identify people and influencers who would want to link to your content and why they would want to do so. You need to discover what their problems are that you can help solve with your content. If they notice it, they can share it with their own audience, helping you build further traction and linking capital. Not all companies can create all types of content. Once you get a handle on what are the common issues of thought leaders in your niche, you can create content that helps them solve their need. You would not be solving problems with your content all the time though. You can research in depth into common industry problems and share the findings in a report. Or you could simply share existing data from your previous research and your broad domain expertise. Another easier way is to think of content that can help promote these influencers. For example, an article with the best quotes from the influencers or the effect of the thought leader in shaping the industry. You could also write about the product(s) the influencer built (or content that can help solve a persistent problem for the product’s users). No, I am not talking about stuffing keywords into your content. Use keywords in the discovery phase to get more pain points of your industry. With keywords and on-page SEO, you increase the visibility beyond just the influencers. It helps you widen your scope of content. This. in turn, makes it more likely for users to find your link-worthy content through organic search. While SEO opens up the major channel of organic traffic, it also inherently full of uncertainties. For example, we don’t know for sure exactly how long it takes to get a page ranked on the first SERP. We also don’t know when Google is going to tweak its algorithms, leaving your ranked content under the threat of losing its authority. There is also no guarantee where on the SERP your content will appear, and if it will appear. 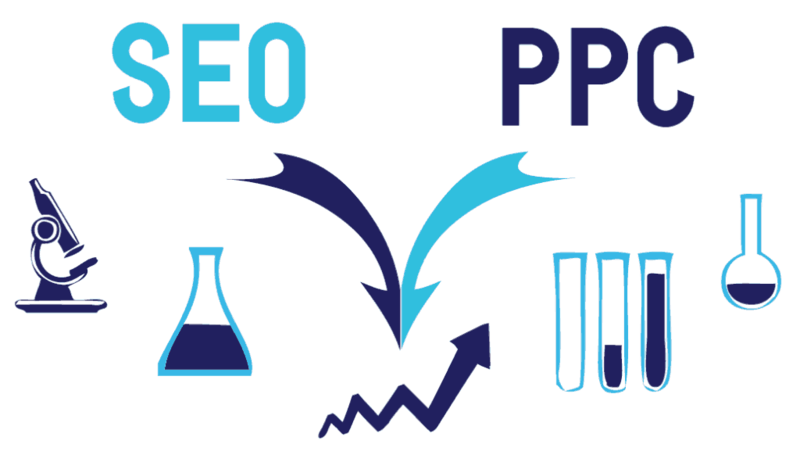 solid, smart PPC strategy to complement your SEO strategy. 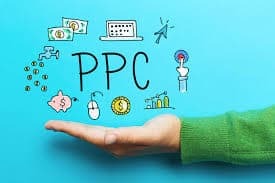 And yes – because PPC ads don’t cause an interruption in the user’s experience, they are still formally a part of inbound marketing. It takes away all the uncertainties. You can bid for keywords you like. The ad appears at the top of the page, making it more likely to get noticed and clicked. The results are instantaneous and guaranteed. Content is not just the king, it is the backbone of your inbound marketing strategy. High-value, engaging content prevents new leads, that are captured by organic traffic and PPC ads from escaping. Use it to anchor the new leads to your brand and your website. 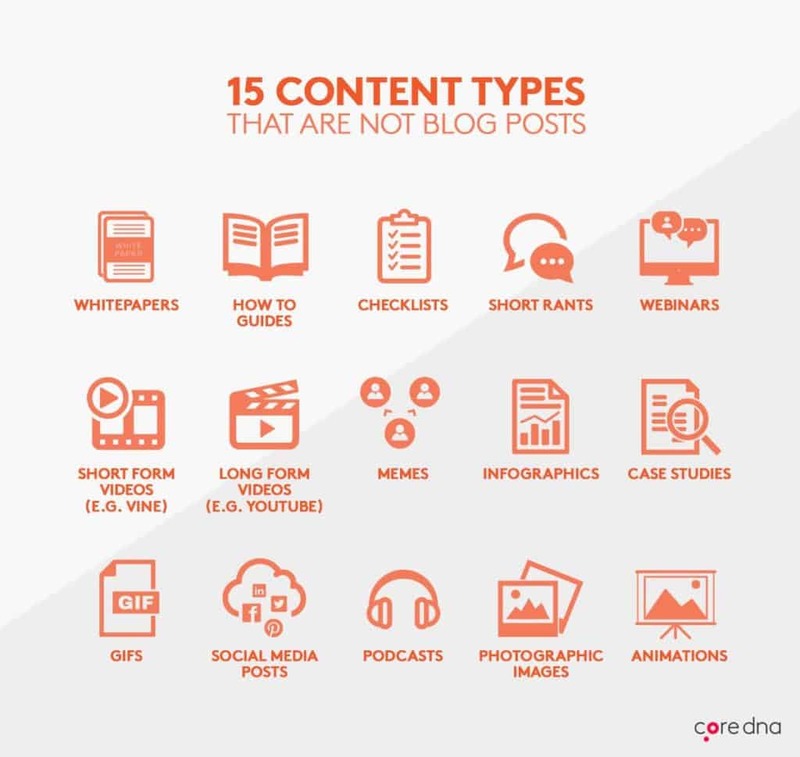 There are lots of broad categories of content that you can create; having a blog is the most popular one. EngageBay invests heavily in its bloggers and we aim to keep our blogging standards high. Creating content is not the same as creating value for your leads. To create value that helps build and nurture relationships, your content must be built towards a goal (blockquote). Content marketing goals usually originate from within the company’s growth aspirations. With the evolution in content writing and marketing, most companies are able to hire high-quality writers to produce content that truly makes a difference in the life of their leads. So how does your company differentiate itself from its competitors? A solid foundation of education – Your content must educate leads about their own needs, things missing in their journey, and how your company can help them obtain those missing things. A sliver of inspiration – Don’t ignore the need to inspire people with your content. Inspired leads often turn to become the most prolific buyers and graduate them to become your brand advocates. A dollop of entertainment – Keep it light, add a dash of your personality and make it fun to read. Add constant value – Don’t let them get satisfied; always leave them wanting more! You have to let leads discover your content on their own; you can’t be pushy in trying to get them to notice your low-priority assets. Instead, plug them somewhere inside your high-value assets. For example, use your lead magnet ebooks to get them to subscribe to your paid plans or check out your best blog posts. Use that webinar to pitch your product in the last 10 minutes. What kind of content should you include in your content marketing strategy? Note that content is a very important part of inbound marketing, but it’s not the only part. This graphic illustrates the various types of content that may be used for content marketing. A blog is a place to express yourself. For a brand, having a blog is akin to being a thought leader. Your leads, if they like your blog, will keep returning to read more. Keep a check on their website activity to know what kind of content each lead likes and find the right time to pitch a paid product/service. As described in the last section, your blogs need to be aligned to the problems/needs of your industry’s big voices – the influential leaders, the biggies who have been there for long. They tend to have a better pulse of the industry. Creating content oriented to them has many advantages. First, it makes the content easy to be noticed and shared by those influencers. This, in turn, enhances the discoverability. Secondly. a new business can confidently move forward with content because they know it will be noticed and shared. It doesn’t have to rely on untested or unproven content hacks. Finally, if industry leaders link to your blog, it generates tremendous link juice for your SEO because their website tends to be very high in domain authority. These are lead nurturing magnets which you would want to give away for free. This technique can be used for attracting new leads as well as bumping the existing leads down into the funnel, closer to making a purchase. On the back end, these existing leads get tagged with appropriate labels in the marketing automation system as they consume this content. These tags will identify the leads who are newer to the funnel, those who are in the middle of the funnel, and those who are ready to buy. Make sure to position your lead magnets to drive more traffic to your website and for selling your products/services without being spammy. (blockquote). Knowing that someone bought from you and your product/service contributed to their success – it instills trust. This is why customer testimonials are so important. For these reasons, you should follow a persistent collection strategy for customer testimonials. Don’t be shy in asking your existing customers to review. Knowing how you did it and what exact changes you brought into the existing customer’s operations – it gives your converted leads a feel of exactly how you can help them. This is where detailed case studies come in. Let me tell you an open secret – you are not the only one in your niche looking to do content marketing for lead generation and nurturing. There are probably hundreds or thousands doing the same thing. Having a content calendar not only helps you stay disciplined with your content generation efforts, but it also gives you visibility into your long-term content. It gives you the confidence in knowing what you will post and when, so you can mature your content offerings. 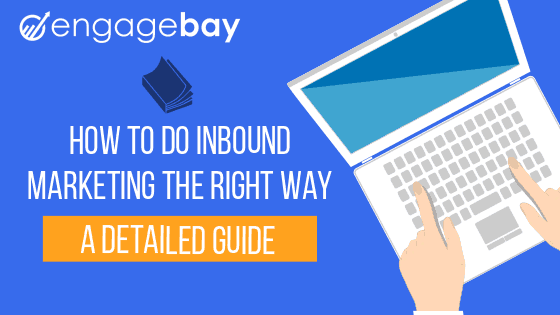 What really makes an inbound campaign truly successful? How do you find highly qualified leads, take them through the transition from lead to customer, and then provide consistent customer experience to retain those customers? Content marketing is more about helping than harassing. It’s about figuring out what your leads and customers want and need, and then using such content to them build long-term relationships that drive your business. Therefore, your inbound content strategy needs to strike a delicate balance between educational and promotional content. Humans don’t like liars. Be a good brand and don’t lie to or spam your leads just to get their money. Most businesses serve multiple types of audiences. Identifying these types is called segmentation. The simplest way to identify the lead type to ask them directly using an additional field in the lead capture form. This new lead gen form field would be based on the specific attribute you identify the audience in your own niche. For example, a marketing company like EngageBay would want to know if the business type signing up with us wants to use our product for its own growth or is it an agency intending to use EngageBay for its clients’ growth. To help leads self-qualify as an agency or a business, we could add a couple of radio boxes under the field name “Business Type”. This information has to inform our own inbound content strategy. We could create different types of content for companies and agencies. Similarly, if you identify different types of audience, you could create separate newsletters or even give the major categories an individual blog of their own. Content segmentation can be based on list segmentation or even on the different types of products/services you offer. Startups often don’t have the team strength to implement a large-scale content strategy. The only way they can compete with their multi-national competitors is by engaging all the departments in creating content. One thing which I learned in my content writing career is that with sufficient training, anyone can write. To write high-quality and authoritative content, one needs to have a great grip on the subject matter. Content writing is a lot more about the “content” and less about the “writing”. You can expand on this idea and create a culture where content creation is emphasized, encouraged, and rewarded. There needs to be a culture of content creation in all departments of the company. Here are a few things you can do to help your non-writing staff to create content. Conduct writing workshops that train them and make them confident writers. A lot of non-writers already know the material, but they might struggle to get the material flowing through their fingers. During these training, emphasize on de-stressing benefits of occasional writing. Give them small but regular tasks of writing content. To ease them into content creation, let them start by writing about their own work. Encourage them to summarize meetings through a “minutes of meeting” email. Pass this responsibility throughout the team as an opportunity to contribute to content creation. Encourage them to write blogs on the company intranet. Enable their writing process. For most of your non-writers, content creation would be an additional chore. Provide them editorial support from within your writing team to supplement their writing effort. The editor would act like a quality check working on grammatical and non-grammatical mistakes. He/she would also help them develop their content into more mature, sophisticated pieces of text by lending their writing and research expertise. Create a culture of content with rewards for content creation and their regular work. Why should your employees do additional duties for the same salary? If you want them to extra work, you have to give them extra rewards. Tie their content creation efforts into their annual performance review process. Let them know you appreciate their regular work too, Plan surprises, team outings, and team lunches. The more engaged they are, they more stress-free their work becomes. And we all know – happy employees are the best employees! 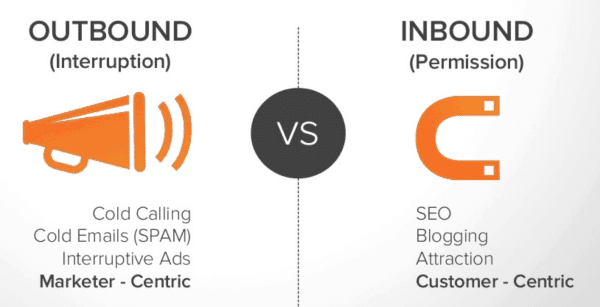 Inbound outreach is not a paradox. 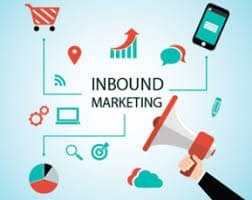 That’s the beauty of inbound marketing – you find low-cost channels like PPC and social media to cut back from your reliance on traditional interruption marketing channels. Without organic rankings or PPC ads (or even with them), social media is a phenomenal traffic generation, lead generation, and social selling channel. It’s a must-have for any modern brand! Your audience won’t magically find you. You have to take your content where your audience is. More than half of the world is on Facebook and Twitter. While Instagram is not a typical social media channel, it is better than Facebook and Twitter because it’s visual and visual-first. You see images first on Instagram and then comes the text content, which turns upside down when the same post goes to Facebook. All of these social networks allow businesses to exist for free. You can have your business profiles and pages on these networks, share content, and foster relationships with your potential audience – all for free! Chances of your finding your own audience on these social networks are very, VERY high. A social follower persona is just an extension of your ideal customers’ marketing persona. And it’s a non-negotiable – meaning that the online presence for your brand will remain unregulated and unfocused without it. Without a social follower persona, you won’t know what kind of content is liked and shared more, and what kind of content is frowned upon. This is obviously a generic list. When you use it, you can add more fields of information to customize it for your own business and industry. A set of key performance indicators (KPIs) and goals give you a handle to govern your own content creation strategy. 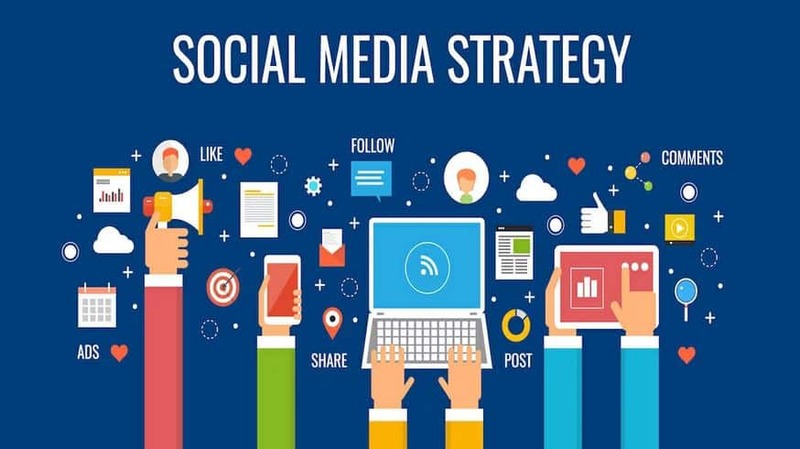 You will be able to improve your social content practices by observing your progress and evaluating it against these goals. To what extent you will achieve each of these targets, that is governed by your KPIs in each of these areas (we will discuss inbound marketing KPIs in details a bit later in this article). You can post content that helps achieve all of these goals, but not all at once. For example, if you share a blog post link (which promotes your products), you will be doing it for social traffic. Relying on these visitors giving your brand any more trust than visiting your website is a failed strategy. They came here to read content and so you pushing them to buy from you is just bad marketing. Furthermore, if your post doesn’t even give them the content they were expecting and is a pure sales post, it ruins the trust they put in your brand when they followed you. What to do in this situation? Be straightforward and share product posts directly on social media. Remove the “brand shyness” and let your followers get acquainted with your brand more closely. Even if they don’t buy from you, they will keep your brand in mind as one of the providers of products in their area of interest. They could buy from you when they are ready and recommend it to their friends. You would be much more effective in social media marketing if you decide to leverage different types of content for your brand. By posting different stuff than your competitors, you are letting your followers build a connection with you. The direction you take with your social posts should help you differentiate from your competitors. For example, you can post behind-the-scenes videos or how-to posts. You could also give your followers a peek into any new initiatives you may be working on. You can also get the followers involved in creating content for you – it’s called user-generated content (UGC). I wrote a guide of things you could post on Instagram. Check it out to get more tips to make Instagram work for your brand. For other social networks, follow the same procedure: Do a social media audit of more than a few competitors. See what kind of posts draw more attention and how can you do more than them and do it differently than them. 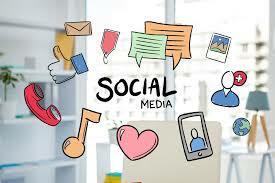 So far we have seen how to create a plan to make use of your social media channels. Now we will look at some strategies to put these tactics to use. Stop writing tweets in a robotic tone. Don’t be afraid to add a dash of personality. Converse with your followers on social media comments. I have personally seen these social channels prioritize brand comments when displaying the posts on news feeds. Meaning that, when person A likes your post (which also has your own comment), that post goes to person B’s timeline (as Person A’s activity). Person B sees your post and your own comment as the top comment; they see your brand name twice. They would have to tap a few more time to see all other comments, but your own brand’s comment would be visible at the top. The original post has over 1600 comments but the post author’s comment is shown on top by default. 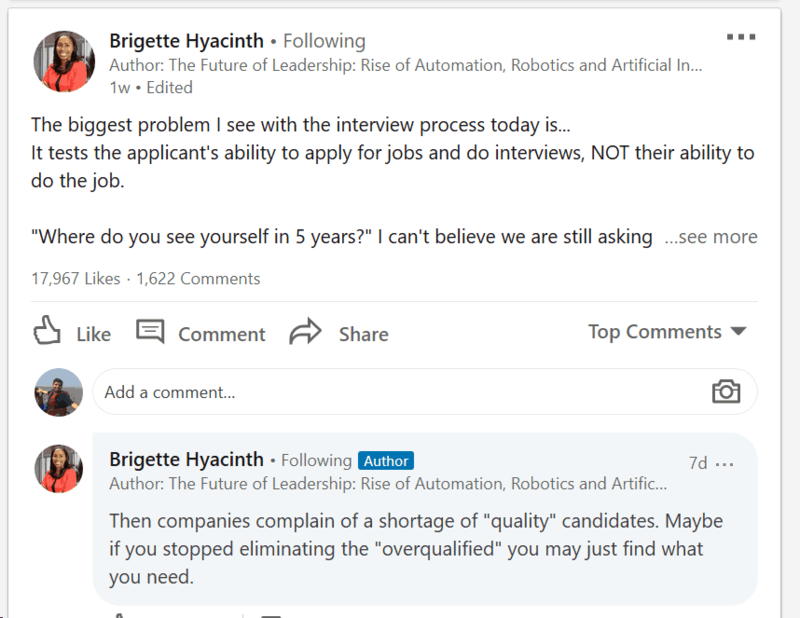 Also, if you check Brigette Hyacinth’s LinkedIn page, you will observe this on most of her posts. She is one of my favorite content creators on LinkedIn. I can understand why – because I saw her name constantly (on the post and on the comments), her name became a brand name for me. That’s some stunning and smart social media marketing right there. In her older posts, Brigette has posted inspirational photos in her comments, which were even more effective. You would have noticed many content creators writing a big post to share something new. But they put the link to it not in the post, but in the first comment. They are doing the same thing. An additional incentive of this engagement technique: you only get people who are interested to actually click the link and the visitor numbers turn out to be more genuine. Tell a powerful, original story on your social media pages. This needs to be an omnichannel campaign. The goal would be to make the customers associate your brand whenever they think of similar stories and causes. Use custom branded hashtags on social media for your own brand. Use it in UGC posts. Participate in chats on social conversations, like those on Twitter. Again, use custom branded hashtags to push the brand recall to new heights for your followers. Interact with influencers and get on to their timelines. These are pages specifically made to promote an offer, a lead magnet, a product, or a service. One of the most common mistakes small businesses make is not creating enough landing pages. They push content through their social media, email, and other channels. Or they get organic traffic from pieces of content that are ranking on Google. Visitor clicks the page link and if they like it, they may want more stuff. They go to your product/feature pages. This is good for first-time visitors. But in the online world, customers rarely buy on the first visit, isn’t it? Most of them would be repeat visitors who know you, and they know your website structure. Making them go through the same route again would be wasting their time. You need to capitalize on this trust quickly. With landing pages, you open up a new channel where you write conversion-optimized copy to sell an offer/product/service/lead magnet. You post the link on various channels and directly bring them to a selling page i.e. your landing page. Why not simply send them to the homepage? If you link repeat visitors to your homepage, you are still taking them through the same loop as new visitors. The homepage isn’t focused on any one thing (unless you are actually offering only one thing!). It shows a link to everything you host on your website. When they are on the landing page, they are there to consume an asset that you created. They want to buy or download anything new. Having many other links will only distract them from the core offer on the page. This is the easiest way to ensure visitors stay engaged and read the page after coming to your page. If visitors land on a page that looks and/or reads different from the headline they clicked on, they will leave faster than the roadrunner being chased by the coyote! (blockquote). Without relevance between the linking ad/post headline and landing page, your visitors may get confused. Different graphics or text or messaging distract them from your core offer. 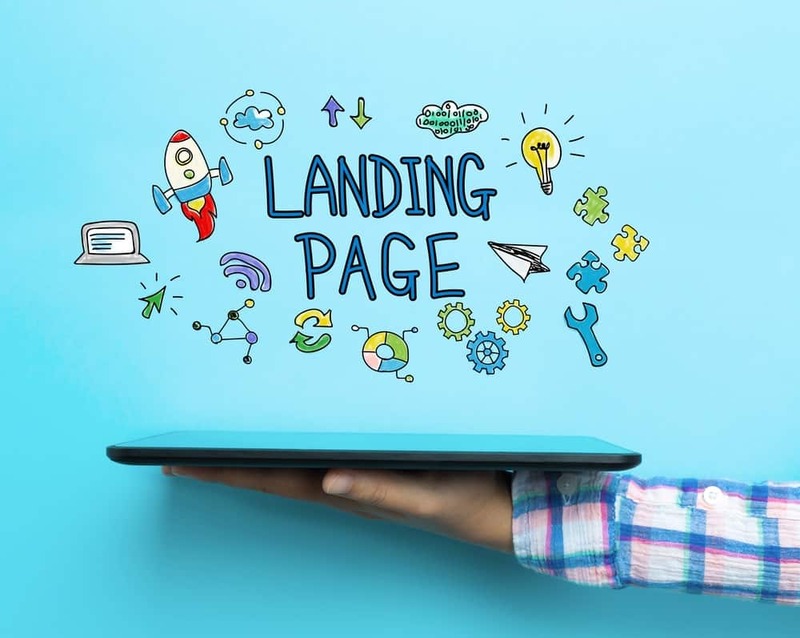 Don’t include anything in the landing page copy that doesn’t agree with the CTA; it helps in creating a landing page with a singular purpose. When writing CTA, focus on benefits rather than features and use contrasting colors with the big font. Keep the CTA above the fold and keep the lead capture forms limited to only the most necessary fields. To help you qualify the leads better, you can ask for more information besides just a name/email combo on the form. Just don’t make it look like a high-school registration form by asking irrelevant details. Use visual elements by including trust signals on it. Things like images, videos. GIFs, full-fledged customer testimonials, and third-party trust seal, etc., really help ratchet up the conversion rate of your landing pages. Make sure to include at least full name, designation, and company name of the person to make the testimonial believable. Split test your landing pages. Often called as A/B testing, split testing is a crucial tool in helping you improve your conversion pages. You could start by varying the headline, subhead, CTA, image, video, or pretty much anything which you would like to test with your audience. You start with the main copy and then write a second landing page with small variations on one or more elements of your choice. Keep both the versions live for a longer duration (usually 2 weeks or more). If one converts better than the other, use the more successful one permanently for your audience. 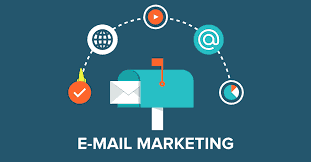 The purpose of email marketing is to help establish and nurture a professional long term relationship with the leads that you collect with your landing pages. Each of your audience segments will require a different type of messaging at different stages of the purchase cycle. They’re intrusive and they’re bad for your email stats. Since the receivers didn’t opt into your emails, you would be violating their privacy by sending them any type of content. Worse yet, they may mark you as SPAM with their email provider, thus affecting your sender reputation. The worse your sender reputation gets, the higher are the chances of your emails landing into SPAM folder directly without receivers having to explicitly mark them as SPAM. If you are marketing to EU customers, buying email lists is a complete no-no. The GDPR regulation will get you banned or at least heavily fined for intruding people’s inboxes without their explicit consent. The GDPR act also states that checkboxes like “subscribe to news and information about products”, which were kept checked by default, can no longer assume users’ consent. So all lead capture or registration forms being served to EU citizens must have these checkboxes unchecked by default to allow them explicit opt-in. Provide clear and visible contact details and an Unsubscribe button. CAN-SPAM laws state that you must include your company’s full physical address and send it from a monitored email address. This enables customers to contact you physically or by email. Also, you must include an “unsubscribe” button that is clearly visible; do not try to hide it with visual tricks by using colors. You can still use “no-reply” addresses to send transaction acknowledgments or any announcements. Just avoid using it for marketing emails; the receiver may want to reply to you. All of your strategies could go to waste though if you don’t contact them within the first 24 hours. That is the time window when the decision to engage with your brand is fresh on their minds i.e. the lead is a hot lead. They could engage with you in multiple ways: subscribe to your newsletter, read your blog, or click an ad from you. You need to get in touch with them immediately as they do so. However, for large lists, sending personalized emails every time is simply not practical. EngageBay’s email sequences help you keep your emails ready. You decide what you want to say/share in those 24 hours and create an email with it. Plug that email into an automated workflow. Once the lead takes action to trigger any of these workflows, the email is sent automatically by the system. You can nurture your warm leads into paying customers by following up regularly email sequences. Emails from group names (support@engagebay.com, for example) sound sales-y, even though the emails themselves might not be intended for selling at all. It’s robotic, inauthentic, and, quite frankly, it’s insensitive marketing. Several tests have shown that this level of personalization increases conversion, but you don’t really need tests to prove it. It’s a common sense of marketing; people like to talk to people, not robots! Send email from real person names. For example, mr.roy@engagebay.com as the sender email address and “Mr. Roy” as email sender name would be more personal. Here is another example. Steve Kamb, the founder of NerdFitness.com, sends his email from his own personal address. Start by A/B testing the sender name; try out a few options to know for sure which sender name helps increase email open rates the most. The preview text is usually pulled out the first few lines of the email automatically by most email clients. You can also set the preview text yourself and capitalize on this wonderful engagement opportunity. 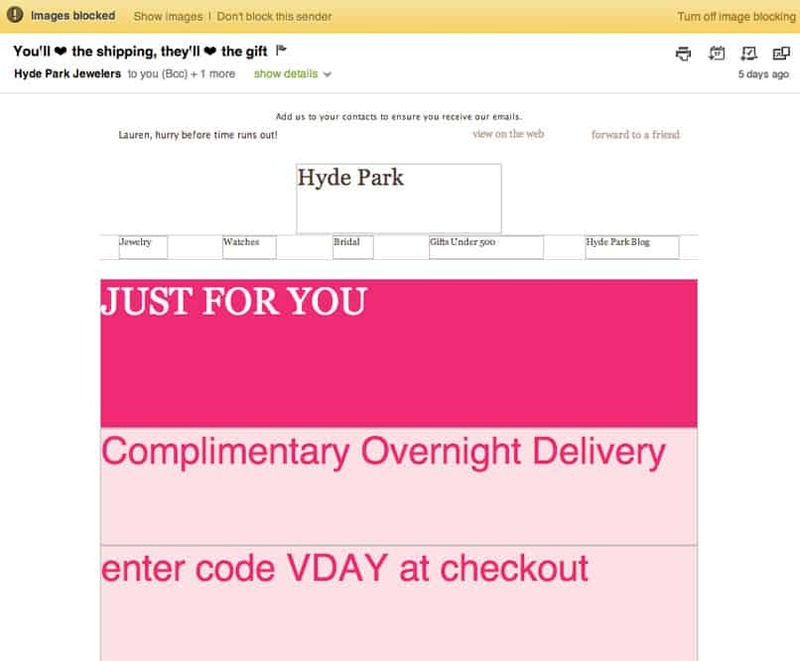 Write engaging subject lines that entice receivers to open your emails. When it comes to subject lines, make sure they are catchy but not spammy. Avoid subject lines that are longer than 50 characters, otherwise, they may not be fully displayed on mobile devices. The copy in your subject line must be clear, jargon-free, and written in accordance to your customer persona, so they can relate to it better. Make use of action-oriented verbs and words that evoke strong positive emotions in the readers. 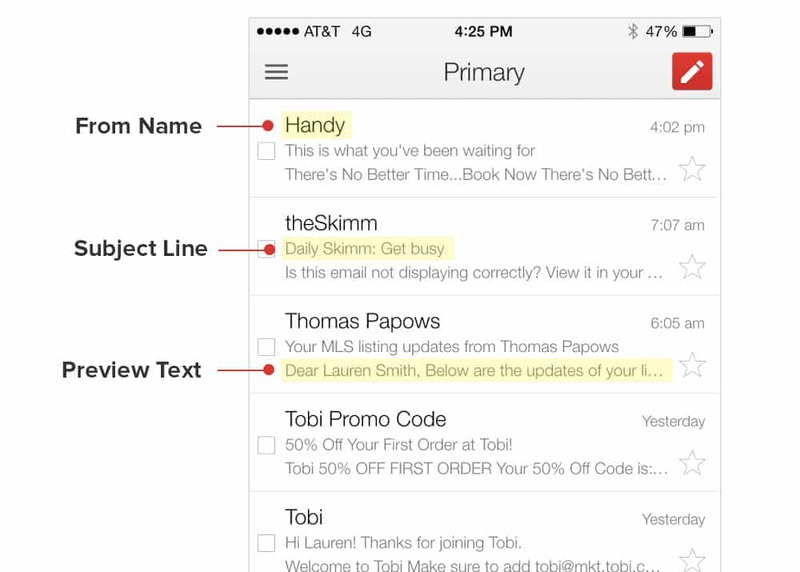 Personalized subject lines also help improve open rates. So you may want to use their first name, their location, or any other personally identifiable information you have about them. A little warning here though: If you overdo your email frequency, the personalization might come back to haunt you. It becomes annoying if done at very high frequency. If it’s an offer you are promoting, use clear numbers to indicate benefits of the offer in your email subject line. Use images to convey information quickly. If using videos in your emails, don’t keep them longer than 1 or 2 minutes. You don’t want to add to the mess that already exists in people’s inboxes. Think of it this way – What if the person whom you are writing to is giving you only 1 minute of his busy time to meet you? what would you want to say to him/her in that 1 minute to convert him? Once your email is opened, most readers start scanning. Most people scan when they read email. Their attention is directed very quickly to the CTA button. You want to leverage this attention and bring them to your website to explore more of your offer/content. A good CTA button has simple, benefits-oriented text and has a color scheme that stands apart from the rest of the email. You can add multiple CTA links too across the email text, but with different link texts. This way your readers don’t have to scroll up and down to search for the CTA. An even better idea would be to include the CTA button/image/link above in the first fold (near the beginning of the email). If the receiver’s email settings block your images, the CTA will let them know what the undisplayed image is about. The same effect will take over in case the receiver is on a slow internet connection. Link these elements to your landing page and your email turns into a conversion machine. Certain email clients might not support background images. Make them part of your foreground image as a second layer. Include social sharing buttons in your emails to expand your reach. Allow your readers to share the email with their followers and friends, by including social sharing buttons. Avoid social follow buttons as it only brings them to your social channels but doesn’t encourage them to reshare your social content. If you have something specific for them to share, go ahead and let them know that they can tweet it – right from your email. You can create “ready to share” links for Twitter, Facebook, and LinkedIn. Encourage your readers to forward your emails within their network. It’s an even more powerful way to get expand your audience. It is basically a supplement to your social sharing buttons and lets them share without having to switch their app. In this curtailed version, your share buttons and images become full links. Make sure this version is easy to look at by shortening your links. Most emails are opened on mobile. Nobody checks marketing emails on the work desk. If the images or the email text get cut on their smartphones, they won’t bother reading the email. Send more of such tardy-looking emails and you risk them unsubscribing from your list altogether. 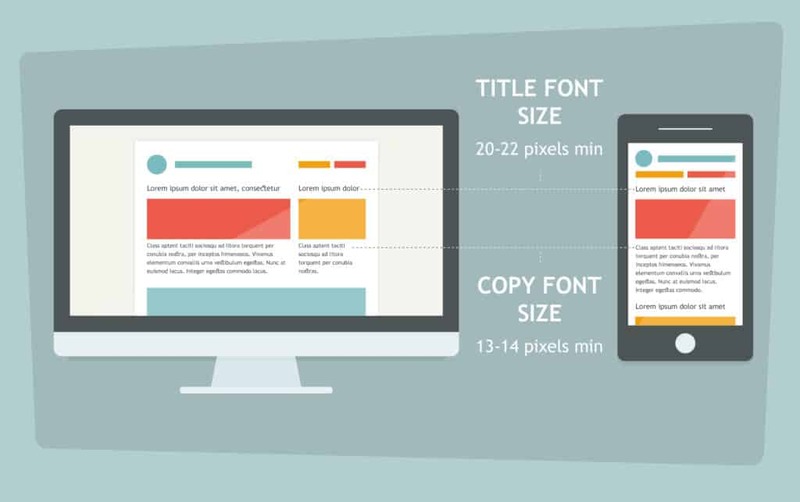 To overcome this problem, use mobile-optimized email templates with shorter email CTAs and smaller image sizes. Successful mobile optimization may look like this. Make sure you preview these mobile versions of your emails to avoid any last minute surprises for major email campaigns. Whether you create your emails alone or have a team to do it for you, ALWAYS double-check your emails before sending. 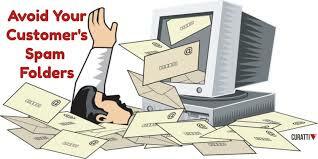 You spend a long time creating emails, it’s only appropriate that you ensure they’re free of any avoidable disasters. Besides, you don’t want your readers to report any embarrassing mistakes. Preview your emails on all the possible devices – mobile, desktop, laptop, tablet, etc. If it’s a major campaign, you might want to run a beta test by sending that email campaign within your team. Your email marketing ROI is calculated with the strength of your subscriber list in the denominator. Not every subscriber is a potential customer. Sometimes, they are engaged with your competitor or they may have marked your email address(es) as spam. If you can’t find enough engagement stats to get a sufficient picture of the purchase journey for a user, it’s time to dump them from your email list. Run a deactivation campaign asking inactive users to formally opt-out or opt-in. If they don’t reply in positive, you know they don’t want your emails. Learn from your email campaigns by monitoring their performances. What’s the point of sending emails if they don’t drive traffic or fulfill any of your inbound marketing goals? If you want your email campaigns to perform better, use email open rates and click-through rates as an indicator of readers’ interest level in your emails. By observing these stats, you can work on improving all your email marketing metrics and make them interesting. For your inbound campaigns, use marketing metrics as a feedback mechanism to help improve their performance. You can set up your goals based on these metrics and KPIs for those goals. For the sake of simplicity, we are only focusing on the metrics (not the industry standard KPIs). Every industry and business may have a different approach .and different KPIs. But these metrics should give you a fair idea of how you can align your inbound campaign towards your inbound marketing goals. Technically, the conversion rate measures every action that the visitor/lead/customer takes when interacting with your brand/website. Meaning that you will measure different conversion rates for free lead magnet downloads, specific product landing pages, specific campaigns, specific offers, and so on. If the conversion rates don’t justify the efforts, then the campaign can be improved. Typically, marketers observe conversion rates of 5-10%. However, it may often be lower than that 5%. Some exceptional marketers are able to increase it exponentially for specific campaigns. Further analysis of the different components in the buyer’s journey will tell you what can be improved and how it should be improved. While high conversion rates are important, they are not the only way to define the health and quality of your marketing campaigns. There are many other campaign metrics that are equally important as conversion rates. To build a better online brand than your competitors, you need to measure how engaging your current brand content is on social media, emails, blog posts, and so on. Measuring engagement goes beyond website visits and social media post likes. Really helpful and engaging content encourages more shares. Social media comments are also an important factor to be considered while measuring the engagement of your inbound campaign. Everyone can share the content; it takes just one or two clicks. While it signals that they like the content (and wish to share it with their friends and followers), it doesn’t exactly measure how much of the blog post they read and how involved they are. Commenters usually read the full post before posting a comment. Therefore, it’s the blog comments are highly valued as inbound metrics. Be careful with social media comments; they’re good to have but given the click-bait nature of the content being shared on social media, you would be better off treating social media comments as a vanity metric. This is an easy way to measure existing customers’ loyalty to your company. You start by asking customers how likely are they to recommend your business to others in their own network. By going through three steps of NPS measurement (survey, classification, and scoring), you get a fair idea of how many people are genuinely satisfied with your product/service. This image describes how NPS respondents are generally categorized. 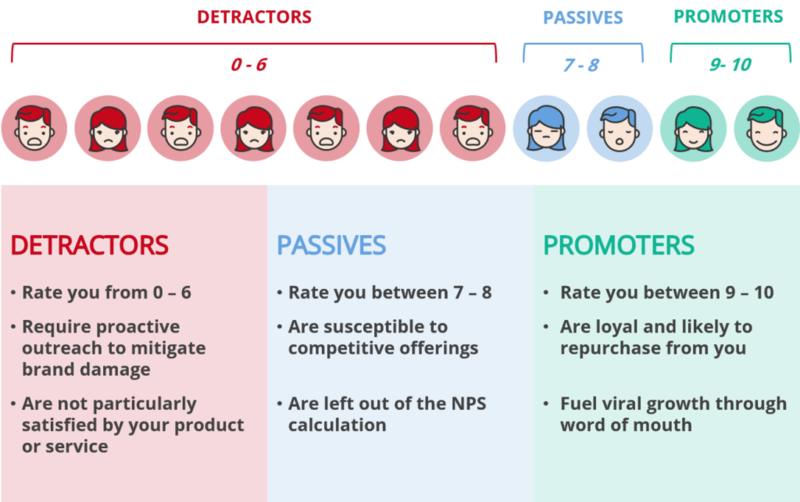 Measuring NPS requires basic math skills, but it is not that complicated at all once you know the formula. Survey: Ask your customers one simple question in the survey “How likely are you to recommend (your company/product name) to a friend?” and let them respond with numbers from 1 to 10 (1 being the lowest score, 10 being the highest score). Delivered this question through email. When the receiver clicks/taps his desired rating on the survey scale, the link records the score on the backend and you show a thank you message to the users. Make sure to give them enough time to submit their responses; you may have to nudge them by sending your email a couple of times. Classification: After you got their scores, it’s time to rank them in three categories: Promoters (likely to share positive reviews), Detractors (may spread negative reviews and dissuade others), and Neutrals (may switch to your competitors). You may tweak the scale just a bit to relax the criteria for Promoters. Let’s take a simple example to help illustrate the use of this formula. Let’s say out of 300 customers, only 200 have responded. Out of those 200 people, 50 classify as Detractors, 50 people are Neutrals, and 100 of them are ready to promote your brand. This leaves you with an NPS = (100 – 50) / 200 = 25%. How to interpret the NPS score? NPS score gives you a simplified overall measurement of customer satisfaction. Higher NPS indicates more chances of your brand benefitting from word-of-mouth marketing. Side note: Ensure to send a feedback form to all of your promoters. landing pages to boost your conversion rates. NPS is also a great way to measure how a particular change/event for your company has affected your overall customer satisfaction. Most NPS forms come with a small text box on the side for respondents to describe a reason for their rating. You don’t need to go in depth of these responses, but you must watch them for patterns. Multiple customers complaining about the same thing is a very clear indication that you need to work on that part of your business. Bounce rate indicates what percentage of people are bouncing off i.e. leaving your website quickly after visiting it. It should be lower than 50%, although the lower the better. You want potential customers to visit your site and spend a significant amount of time on it. The more time they spend, the better your content has engaged them. Which is why your time on site is a very sensitive metric for your content marketing efforts. Go deeper into Google Analytics to find out what pages do they visit while they are on the site. Ideally, you want them to move from content to feature to pricing pages. Even if they don’t take the ideal path, you can get tons of information about their interest level by carefully reflecting on their actual path. Heatmap tools like CrazyEgg help you dig a bit deeper to see where your customers are directing their attention to, while they are browsing through your website. 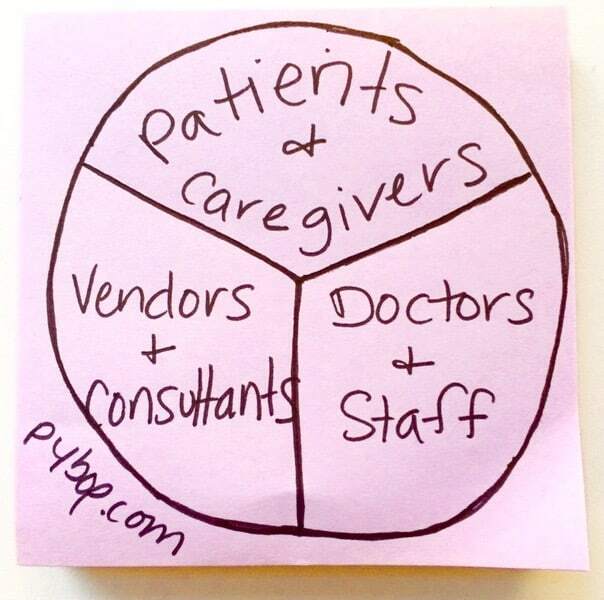 It’s a great way to look for design inputs and put the crucial links where they are looking at. It is also a good way to analyze and predict the success of your landing pages. Ideally, the ROI of each campaign will be measured at the end (or at least after you’ve run it for a sufficient amount of time). Make sure to measure your ROI against your goals. For example, if you created a lead magnet and ran a lead generation campaign, ROI will be indicated by the cost per lead. The more marketing-qualified leads you to acquire the lower this number goes. If it’s an upsell campaign, the goal should be to raise the lifetime value (LTV) of your customers. The ROI would be calculated by dividing the total increase in LTV by the total investment. Realize that a campaign isn’t monolithic, meaning it has several parts and each of those parts needs to perform to its own full capacity for the campaign to have high conversion rates. So, when this rate doesn’t meet your expectations, don’t lose your heart. Try to debug which component of the campaign can do better and work on it. Even if you may not run that campaign again, the lessons you gain from such analysis will give you confidence in running your future inbound marketing campaigns. At EngageBay, we help small businesses realize their marketing potential with our all-in-one inbound marketing software. We have a full suite of online marketing products including a free CRM and a Customer Service management tool. Check out our flexible pricing packages.